Loire Valley Boarding School: travel to this highly touristic French region and immerse yourself in the hearth of the country. 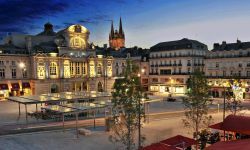 You attend a French private boarding school in Nantes or Angers and live with a local host family during your weekends and holidays. Angers is a city of around 270 000 inhabitants. The town is located 90 minutes from Paris by train. This is the capital of tapestry, with its embroidery and many museums. It is also a horticultural centre with an international reputation. Nantes is also a city of around 300 000 inhabitants located in the North West of France. This city is one oft the largest in France and offers many leisure activities and shows during the year. Both cities are located in the Loire Valley, close the wonderful castles. Exchange students live at the boarding quarters of the schools from Monday to Friday and with a nice French host family during weekends and school holidays. Enjoy your stay in a French boarding school in the Loire Valley! What should you expect of a private boarding school? the “lycée” for the next three years. Completion of secondary studies leads to the “baccalauréat”. The school’s director makes the decision regarding grade and placement level for international students, taking into account the school’s organization, the student’s transcripts and their French level. All students attend general classes such as French, History, Foreign Language (usually English, then German or Spanish), Sports, etc.. There are three available pathways, for Grades 11 and 12: Science with a focus on Biology, Physics and Maths; Economics with a focus on Economics and Social Sciences; Literature with a focus on French, Philosophy, and Foreign Languages. Private boarding schools in France only offer 5-day boarding option. 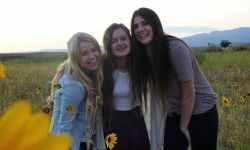 Exchange students are hosted in host families for weekends and holidays. There is a strong community spirit in these schools and students are involved in many international projects. Discover our schools! These 3 schools offer the three general pathways: Literature, Economics and Science. Size of the school: between 500 and 1400 students. Extra-curricular: Conferences, Theatre/Drama, Sports, TV room, piano, etc. Angers School Plus: Outstanding academic results; private gymnasium, extra French courses, dedicated school counselor for international students. Nantes School Plus: various options on offer such as Japanese, Music, Literature, Arts, Dance, Drama, Choir, Field Hockey, courses of French as a Foreign Language. Graduation from a boarding school in France is only possible after at least two years of study (Grade 11 and 12). Rather looking for an exchange program in France in host families? Or a program in a different location? 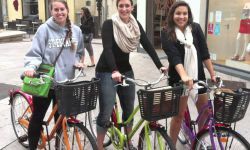 Look at our page dedicated to student exchange in France. In a French boarding school, exchange students live at the boarding quarters with their school friends during the week (Monday to Friday), with full board, and with a host family on weekends and during the school holidays, with full board. Please request further information through the contact form. *Price in EUR per participant. Apply at least 5 months before arrival. Exchange students must be interviewed in their home country before being accepted in Loire Valley boarding schools. A minimum of two years of French study and good academic results are required to study in France. Thank you very much for Paula's information. I'm really happy and so is Paula. Thank you very much for all the support of Nacel !